Hope everyone had a nice weekend! 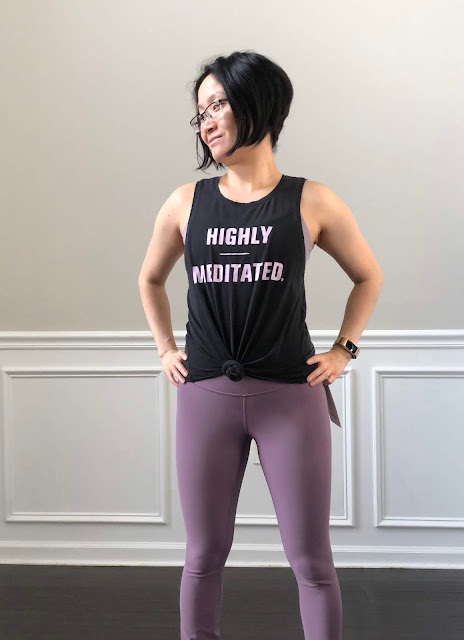 Just wanted to post a review on Lululemon's latest Align Pant in smoked mulberry. Just so you know it is pretty close to the photos on their website and I really love this color. The only reason I might return it is because of the length. I would have to get these hemmed at the calves. Also happy to report these passed the bend test. What do you think of the color? Does hemming remove the looseness at the bottom? Would sizing down to a 2 fit better on your calves? In your experience what are the styles that fit well on the calves for petite ladies and what are the ones that don't? 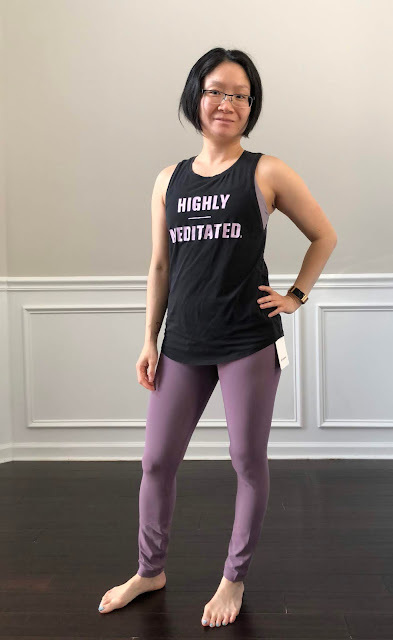 The Align Crop in the 19" fit my calves perfectly. Other than that, not much. Hemming usually does the trick but because of that they will always be crops and not full length leggings. Wunder Unders are pretty awful even in the crop length. If I hem them short enough they will fit. The Align Crop in the 21" are also too big. I find that the crops that are 19" or shorter tend to fit my calves better. Anything longer and it's usually a disaster. Oo I absolutely love the color! I hope they come out in 7/8 HR Wunder Unders. I know it's sooooo pretty. Still on the fence!